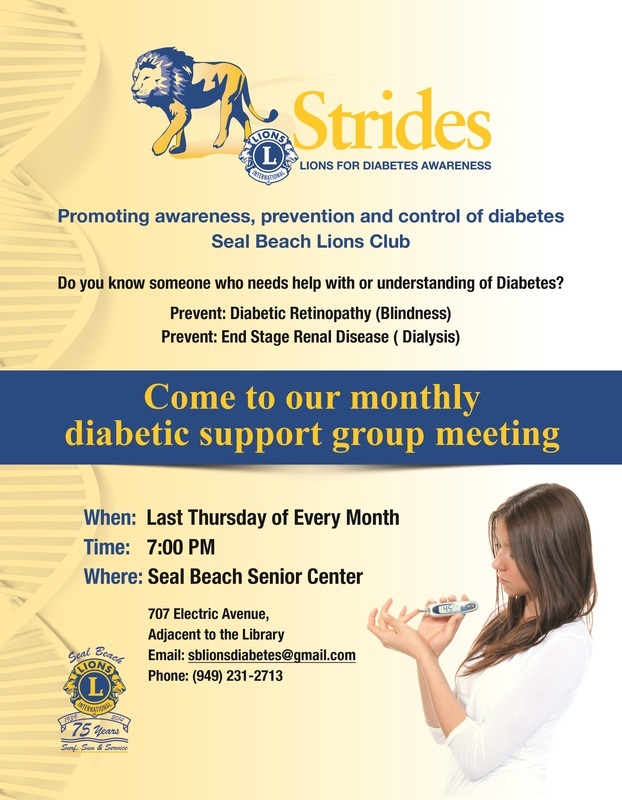 Welcome to the Seal Beach Diabetes Support Group. This Support Group will be held on the 4th Thursday of each month with our first meeting on Thursday, April 24, 2014 at 7pm. We will have guest speakers and information for you to learn more about pre-diabetes, Type 2 and Type 1.